This recipe is super fast, filling, and affordable. In a large skillet, heat up the oil and brown the steak on both sides. Meanwhile, in the crock pot, place sliced onion, seasoning, and mushrooms. Place meat on top and add broth. Cover and cook on High for 5 hours or Low for 10. 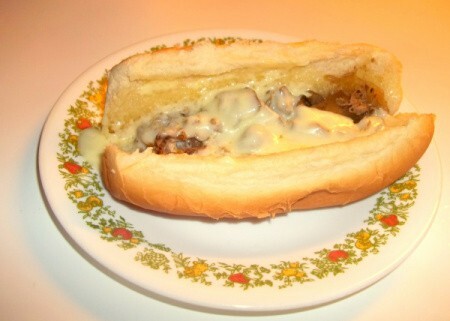 Shred meat with two forks and serve on bread of your choice with mayo and cheese. Oh wow, this sounds so good! I'm voting for this recipe even though I have recipes in the contest too. I told my daughter about your recipe, and she is putting it on her menu. It's a cheaper cut of meat, and sounds sooo delicious. It's on my menu too. I think this will be a real family pleaser. Thank you for posting it!